Location: FCI Victorville is located in San Bernardino County, approximately 85 miles northwest of Los Angeles, on Interstate 15. Background: FCI Victorville Medium 1 was opened in 2004. It is part of the Victorville Federal Correctional Complex (FCC). Notable inmates include Auburn Calloway (serving two life sentences for attempted murder and attempted hijacking of a Federal Express flight). Health Services: Emergency medical care, sick call, physical examinations, annual TB testing, medication, dental services, and eyeglasses are all provided at FCI Victorville Medium 1. Inmates are assigned to a primary care provider who treats them for the duration of their stay. Emergency medical care is available 24 hours a day. Psychology Services: Intake screening is provided for each inmate upon arrival at the facility. Inmates can also speak with a psychologist briefly during open house hours or at main line. Psychologists also conduct various groups and workshops for inmates. The Bureau Rehabilitation and Values Enhancement (BRAVE) Program at FCI Victorville Medium 1 is a unit-based residential treatment program which facilitates the adjustment of young, medium-security, first-time male inmate offenders into the Bureau. It is specifically focused on inmates who are 32 years of age or younger, a first time federal offender, and have a sentence of 60 months or more. The goals of the program are to facilitate the adjustment of medium security inmates entering the BOP for the first time, improve institution security, reduce recidivism and the rate of misconduct, and enhance early identification and appropriate clinical intervention of psychological disorders which may contribute to criminal activity and poor institution adjustment. 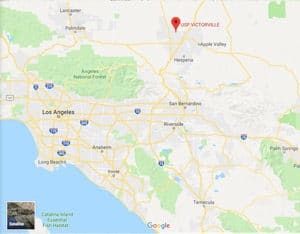 Residential Drug Abuse Program (RDAP): FCI Victorville Medium 1 does not house a Residential Drug Abuse Program (RDAP), but referrals can be made to institutions which do provide RDAP. The institution also offers Alcoholics Anonymous (AA), Narcotics Anonymous (NA), a Drug Education class, and the Non-Residential Drug Abuse Program (NR-DAP). Education Services: FCI Victorville Medium 1 offers GED and English-as-a-Second Language (ESL) programs to inmates. Those who earn a GED are awarded an incentive of $25. High school diplomas and post-secondary programs are available through paid correspondence programs. Coastline Community College enables inmates to obtain an Associate’s Degree in either liberal arts or specialized business. Advanced Occupational Education: FCI Victorville Medium 1 offers advanced occupational education in Automotive Service Excellence, Construction & Building Trades, Microsoft Office 2010, Recycling/Solid Waste Management, and Solar Panel Installation. Vocational Training: FCI Victorville Medium 1 does not offer any vocational training programs. Apprenticeship: FCI Victorville Medium 1 offers apprenticeship programs in Dental Assistant, HVAC Mechanic/Installer, and Plumbing. Library Services: Leisure and law Libraries are available for the inmate population complex-wide. The leisure library offers fiction and nonfiction books, newspapers, and periodicals. Inmates are provided access to legal materials and an opportunity to prepare legal documents through the use of the TRULINCS Electronic Law Library. A copying machine is available to reproduce materials needed for research. Electric typewriters are also available for inmate use. UNICOR: The FCI Victorville Medium 1 UNICOR facility handles fleet management and vehicular components. Commissary: FCI Victorville Medium 1 operates a Commissary where inmates can purchase clothing, shoes, electronics, drinks mixes, sodas, ice cream, and more. A monthly spending limitation of $360.00 is imposed. Recreation Services: The FCI Victorville Medium 1 Recreation Department offers a variety of activities for the inmate population. These include sports, an art/hobbycraft program, individualized exercise, structured group exercise classes, and more. A resource library is also available which stores DVDs, tapes, and literature on health and exercise.